This is part one of a three part series on the similarities between psychedelic and Buddhist experiences. This topic is also explored in depth in the now seminal book by Allan Badiner called "Zig Zag Zen" which is of course highly recommended. On Saturday, October 20, 2012, Rev. 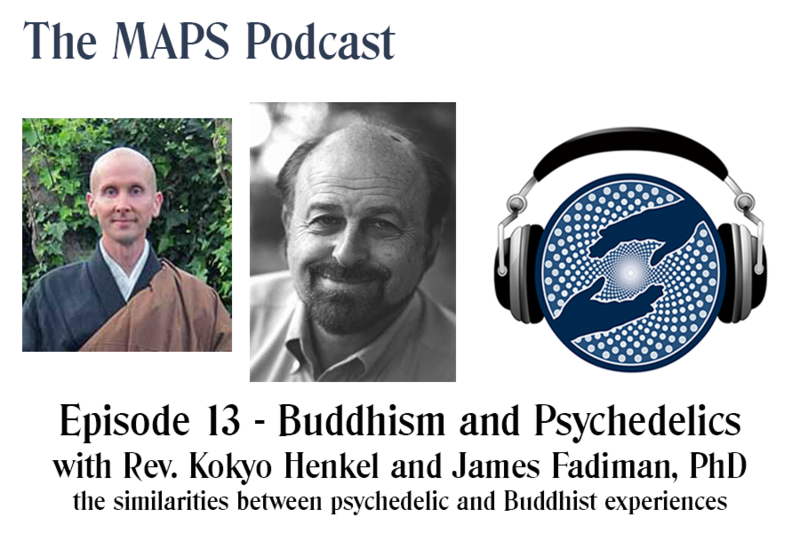 Kokyo Henkel and James Fadiman, Ph.D., engaged a diverse crowd in Santa Cruz with a discussion about the similarities between psychedelic and Buddhist experiences. Rev. Kokyo Henkel has been practicing Zen Buddhism since 1990 at Tassajara Zen Mountain Center, Green Gulch Farm Zen Center, and Bukkokuji Monastery in Japan. He was ordained as a priest and received Dharma Transmission from Tenshin Anderson Roshi, and is currently the Head Teacher at Santa Cruz Zen Center. James Fadiman, Ph.D., author of The Psychedelic Explorer's Guide: Safe, Therapeutic, and Sacred Journeys (2011) has been teaching about, working with and doing research on psychedelic and entheogenic experiences for decades. He has taught at Brandeis, San Francisco State, Stanford, and is now at Sofia University.